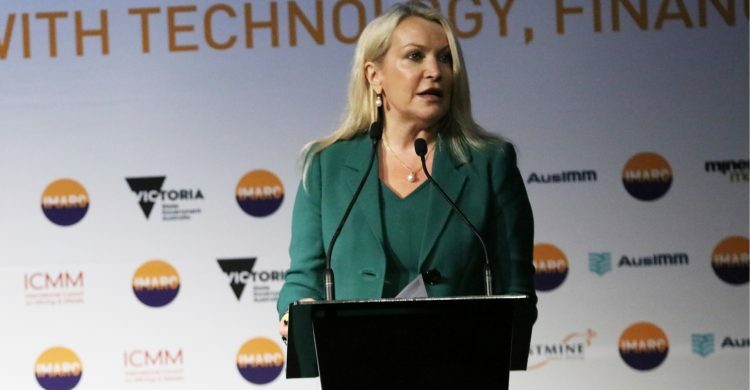 The resources sector is fundamental to Australia’s economic prosperity according to Fortescue Metals Group CEO Elizabeth Gaines during a presentation at the International Mining and Resources Conference (IMARC) in Melbourne last month. “The sector generates exports of $226 billion a year, and that’s more than half of Australia’s estimated total exports. “The Pilbara in Western Australia is home to three of the four the lowest cost iron ore producers in the world as well as the world’s largest bulk export port in Port Hedland. “So it is therefore critical for Australia and our economy that we remain internationally competitive,” said Gaines who took over the role of CEO at the start of the year. Fortescue’s cost journey over the past 5 years is testament to its drive to lead Australia’s and Fortescue’s competitiveness. Fortescue’s C1 cost for the year realised industry leading and a record low of US$12.36/wmt. Gaines confirmed the precedent is set to continue with guidance for FY19 C1 cost in the range of US$12-$13 per wet metric tonne. For Ms Gaines, there are encouraging signs that the industry is entering a major construction cycle that will primarily be driven by Australia’s Asian neighbours. Producing 50 per cent of world steel and representing 70 per cent of the global seaborne iron ore trade, China is Fortescue’s primary market. Gaines cautioned this by noting that the majority of China’s steel is consumed domestically with exports decreasing by over 30 per cent in 2017. The US ranks 26th as a destination for China’s steel exports, receiving just 1 per cent of annual exports. It’s for these reasons that Fortescue Chief Executive Officer did not anticipate that there would be any impact on iron ore demand from China. “History has demonstrated that protracted periods of trade protectionism are not favourable for global growth and, like many in our sector, we are concerned about the impact of trade protectionism on global markets more broadly, particularly currencies and fuel prices,” said Ms Gaines in an interview. And while Gaines does not predict that demand will weaken in the short term, the company is committed to driving down costs through further implementation of innovation and automation. “Fortescue recently completed the conversion of 100 haul trucks at the Chichester Hub meaning that Fortescue will become the first iron ore operation in the world to have a fully autonomous fleet,” said Gaines. The introduction of autonomous haulage system (AHS) technology at Solomon has resulted in improving productivity by more than 30 per cent, in addition to improved safety outcomes. “Health, safety and wellbeing is the number one priority of the Fortescue family, and our focus remains on ensuring that our people go home safely after every single shift. We’re committed to providing strong leadership and also empowering all of our team members to take action required to ensure the safety of their workmates and themselves. “While over the last five years our total recordable injury rate has reduced by 38 per cent, our safety performance is still short of where we want to be. In August Fortescue conducted a company-wide safety survey that includes roughly 5,000 team members across the company’s entire operation. “Importantly for us in our annual safety and culture survey we had a 94 per cent participation rate. “I’m sure that if any of you in the room have conducted a companywide survey and you receive a 60 per cent participation rate you’d be pretty happy. So our 94 per cent participation rate demonstrates our whole company’s commitment to becoming global leaders in safety,” said Gaines.